Have a tree stump getting in the way? Depending on the size of the stump, it may take several years for a tree stump and root system to decompose! Let us help you reclaim your lawn from tree stumps and roots with our tree stump grinding service. 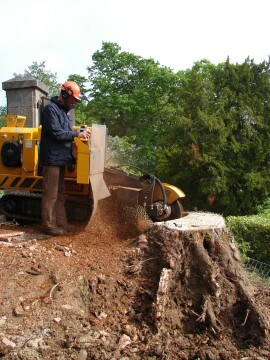 We can grind your tree stumps as well as exposed roots well below the surface allowing you to enjoy your lawn again. Any stump that is left underground will be out of the way and will naturally decompose.